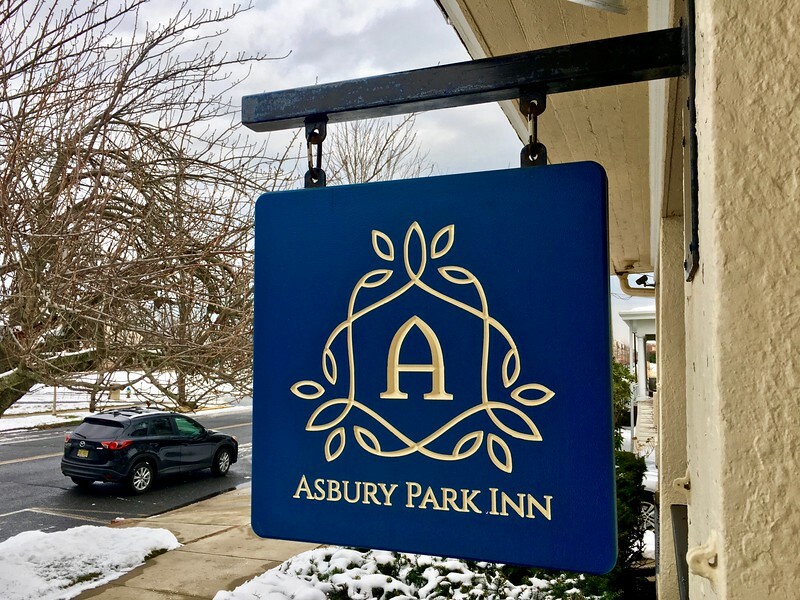 NOTE (April 2019): Unfortunately, it seems that the Asbury Park Inn has closed. 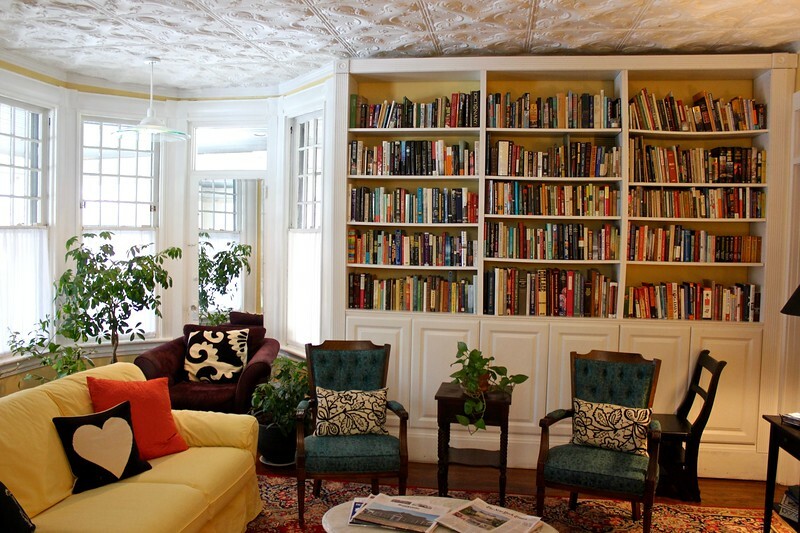 If you are looking for the best Asbury Park hotel, check out the The Asbury Hotel. Here is my Asbury Park Inn review. I stayed at this historic Asbury Park, New Jersey, bed and breakfast during my weekend on the Jersey Shore with Erin of 10 Miles Behind Me. Almost every summer during my childhood, my mom, dad, brother, and I would take a vacation to the Jersey Shore. We’d all pile into the station wagon – and later the minivan – and make the three-hour drive south to Wildwood, New Jersey, where we’d crowd into a room for a week at the same simple motel. I still remember the scratchy, pastel bedspreads and the damp smell that always hung in the air. 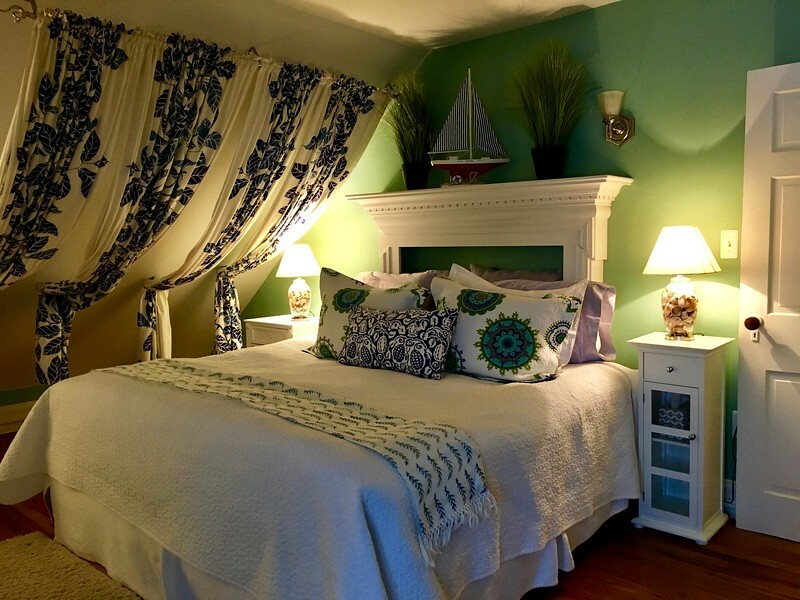 Luckily for me, the accommodations for my December trip to the Jersey Shore – the first time I’d been back since college – couldn’t have been more different. 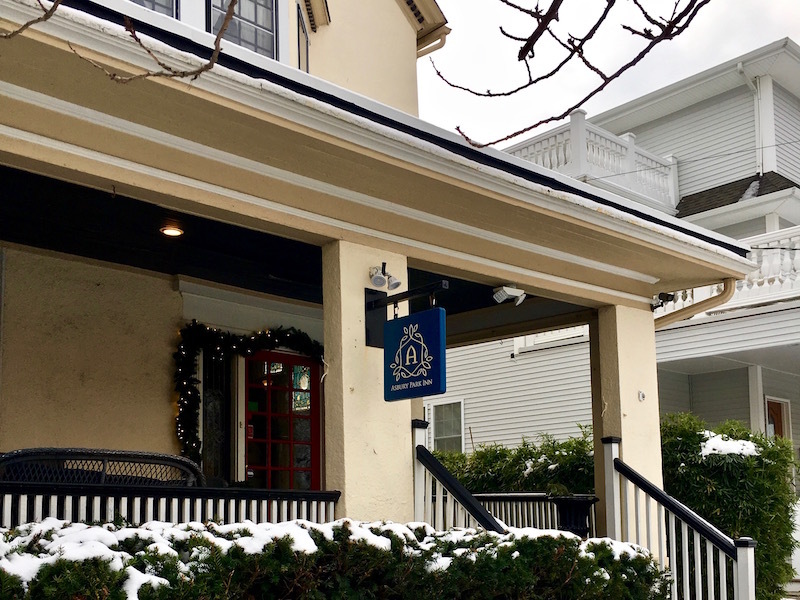 The Asbury Park Inn, where my friend Erin and I spent the first night of our two-night stay, is a luxury bed and breakfast located just blocks away from the city’s famous beach and boardwalk as well as restaurants, bars, shops, and galleries. 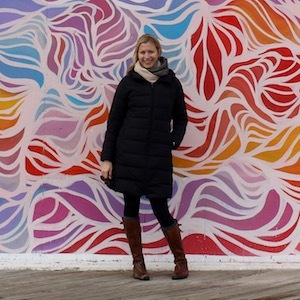 Built in the 1890s, the Asbury Park Inn is owned and operated by a thirty-something couple, Kate and Joe, with help from their toddler daughter and two dogs. Kate and Joe spent time working overseas, and you can tell they know what makes a comfortable home-away-from home. In contrast to the home’s historic architecture and woodwork, the Inn’s decor is bright and modern, with both natural and nautical elements. Souvenirs from the couple’s travels are scattered throughout and offer a nice personal touch. 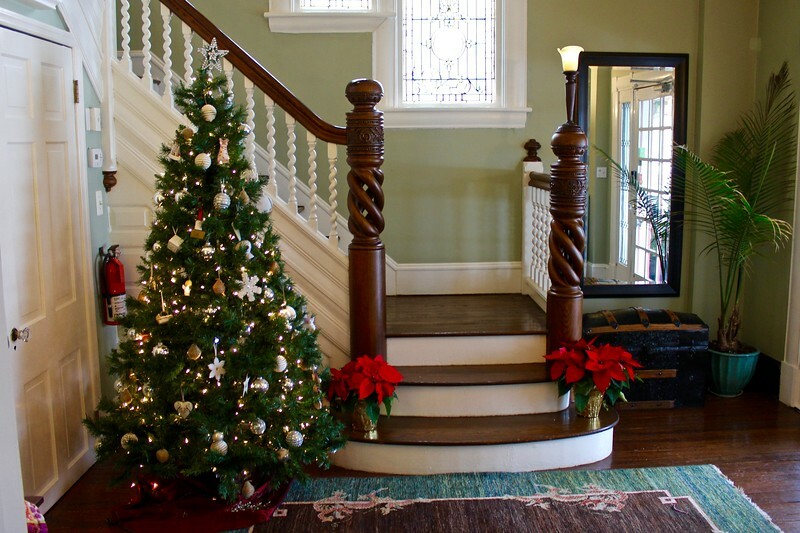 Erin and I met at the Inn on a chilly Saturday afternoon in mid-December and found it beautifully decorated for the holidays with a large Christmas tree and poinsettias in the entry way. A party was in full swing in the living room, so after greeting Kate and the dogs, we went straight up to our room, the Crest Suite on the top floor, to catch up over a glass of wine and relax after our long drives. The Crest Suite is one of four rooms at the Inn. The two suites on the second floor are the Ocean Spa Suite and the Harbor Suite. There’s also the Carriage House, which is set in back of the main house. All of the rooms sleep four, except the Harbor Suite, which sleeps three. After dinner on the boardwalk, we settled into the cozy chairs in our suite’s sitting area and watched a movie. Erin was nice enough to let me sleep in the spacious bedroom, while she took one of the suite’s two single cots. 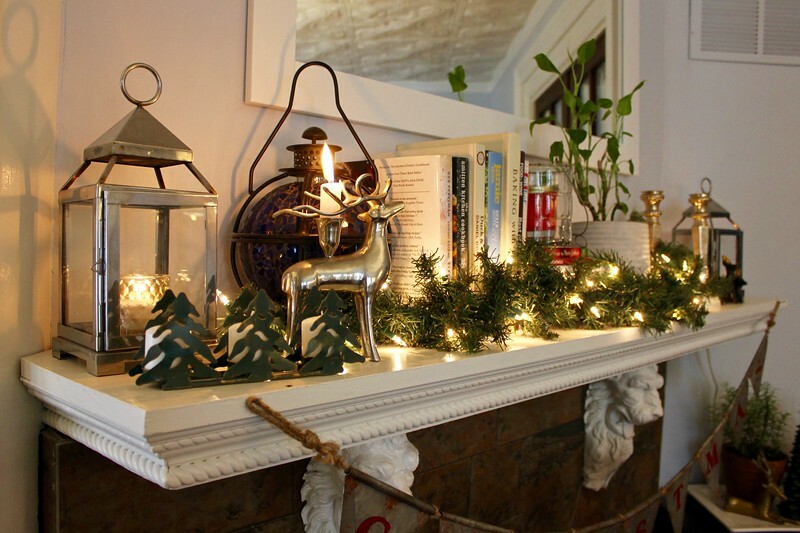 Following a comfortable night’s sleep, we made our way downstairs to the dining room for breakfast, which also was decorated for the season with greens and candles on the fireplace mantel. Each breakfast is made to order by Kate. She possesses a culinary degree, and it certainly shows. 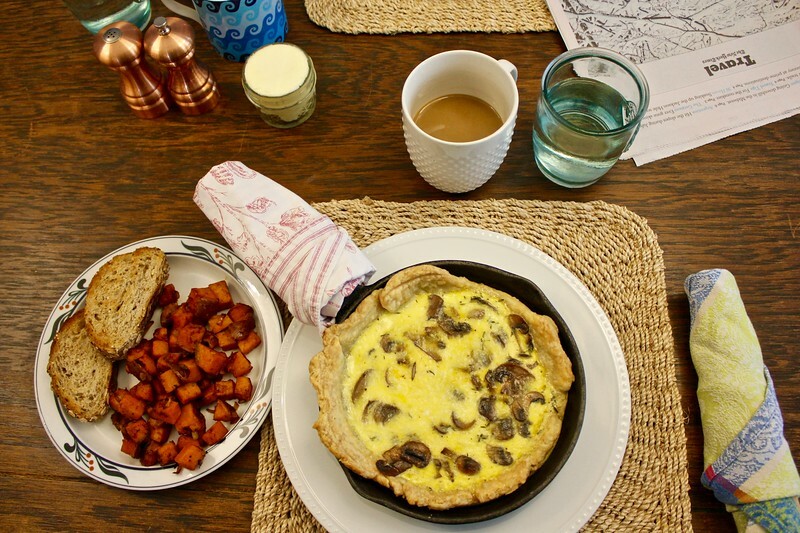 My choice was mushroom quiche – served in a cast-iron skillet, which I had never seen before – with a side of sweet potatoes and freshly baked bread. Erin opted for the more decadent panna cotta French toast and bacon. Both of our portions were enormous, and we had a hard time finishing them. But we took our time, lingering over coffee and The New York Times, and chatting with Kate and Joe about their travels. Following breakfast we spent some time browsing the very impressive bookshelf in the living room before heading out to the Asbury Park Bazaar in Convention Hall. 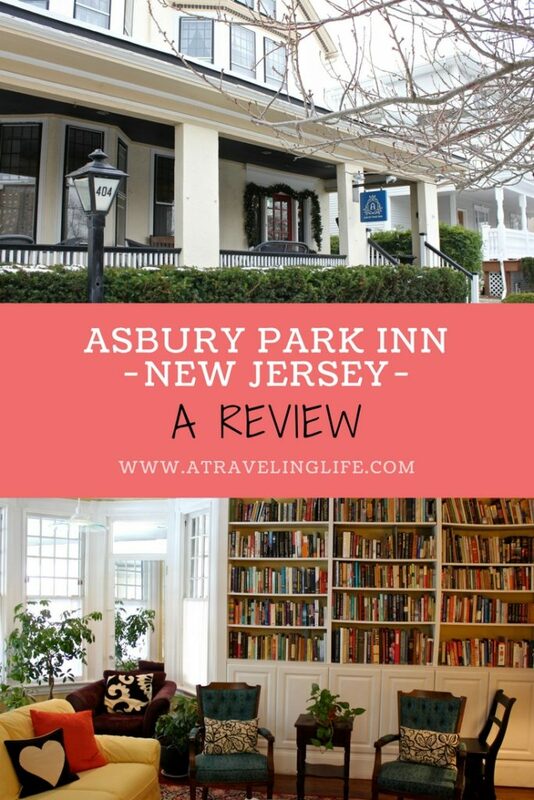 After waiting more than 15 years to return to the Jersey Shore, a place that holds a very special place in my heart, my trip back definitely did not disappoint – my stay at the Asbury Park Inn was a big reason why it was so memorable. This Asbury Park Inn review was provided in exchange for one night of accommodations. Thank you to the Asbury Park Inn for hosting Erin and me during our stay. Thanks for visiting Brianne! It was lovely having you and Erin stay with us. Hope you have a fantastic summer. It was such a wonderful experience – thank you so much for your hospitality! I hope I can come back to the “shore” again soon.